I love cute little girly hairstyles but I'm lacking ideas and time most days so a lot of days we're just lucky to get a comb through it, which lucky enough my daughter's hair's so thin and straight that it doesn't matter. But days we try something cute, it's just fun to see my girl all prettied up! So here's one thing I made up one morning. I'll call it the "Double Twist." Pull a small amount of hair back and tie it. Loosen the tie a little and poke a hole through the middle of the ponytail (above the tie). Take the ponytail and pull it throught the hole (from the top of the hole to the bottom). Tighten the tie. Pull back a little more hair to tie and do the same with that ponytail. Share your styles!!! 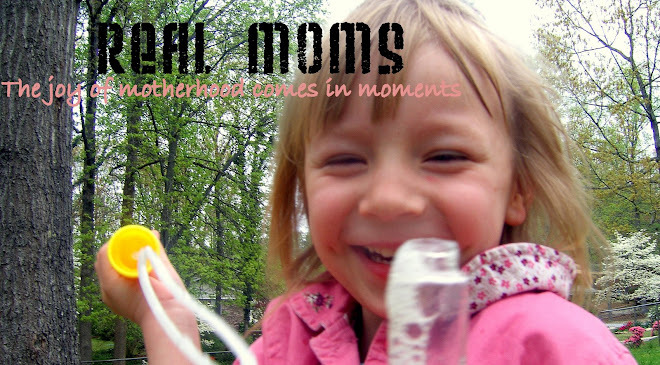 E-mail me (realmomsrule@gmail.com) your pictures and directions and I'll post them on the blog to share with everyone. Step-by-step pictures would be a good thing if possible.